We’re excited to introduce our first CNC panel processing machine to our arsenal of equipment at the Churchill Brothers workshop. We’re committed to the detail and skill of creating your perfect bespoke kitchen, and the Morbidelli n100 is a premium machine from an Italian company of worldwide renown in the woodworking industry that will support our highly skilled craftsman in delivering a beautiful final result to our customers. 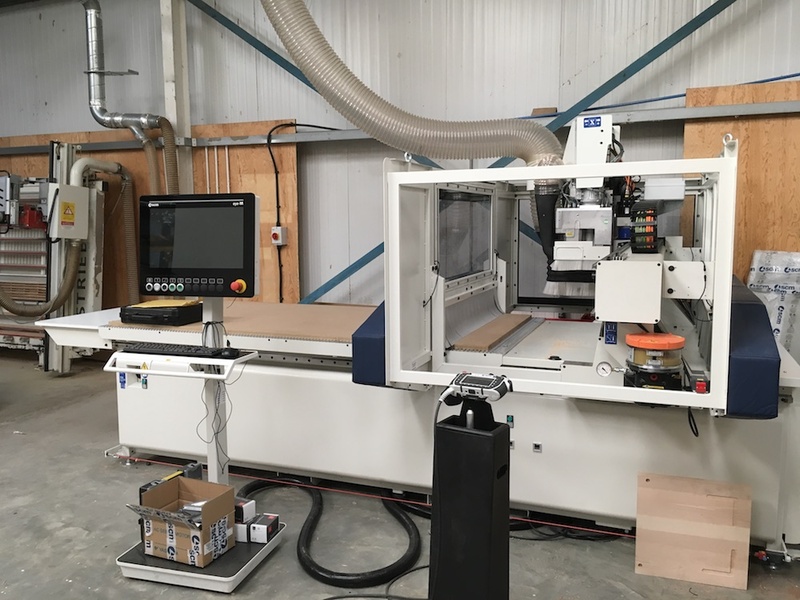 This computer controller machine will enable our craftsman to cut components in the most optimal way from various sheet material which will significantly reduce waste and allow the team to work more efficiently due to its highly accurate and fast properties which, ultimately, will make real cost savings to the business. These savings will allow Churchill Brothers to be even more competitive in a highly competitive market, and will also allow our designers more flexibility with what we’re able to design and produce for our customers, including more shapes and curves to our kitchen work. 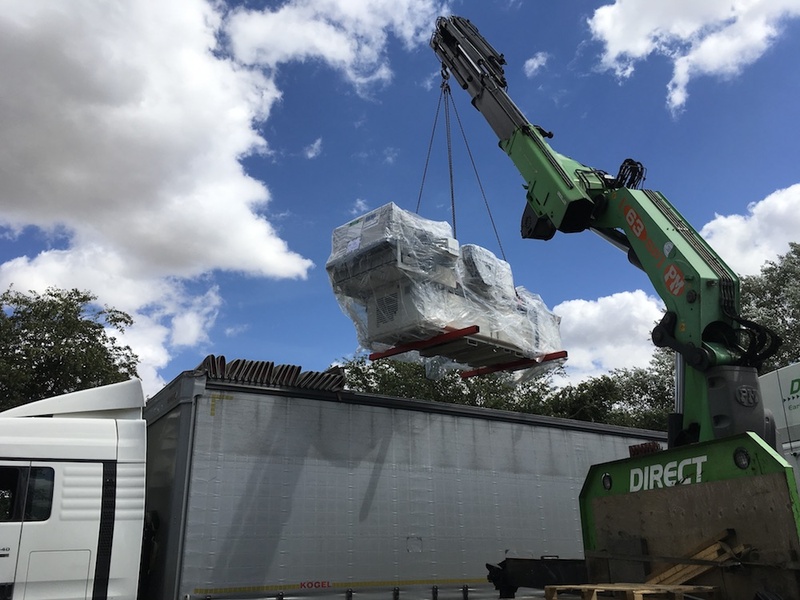 With over 4 years in the making, the investment of this machine is huge for the Churchill Brothers team, in both financial and operational terms. The purchase of the Morbidelli n100 was made possible with the help and guidance of the Anglia Growth Hub and the New Anglia Small Grant Scheme, part funded by the European Regional Development Fund. 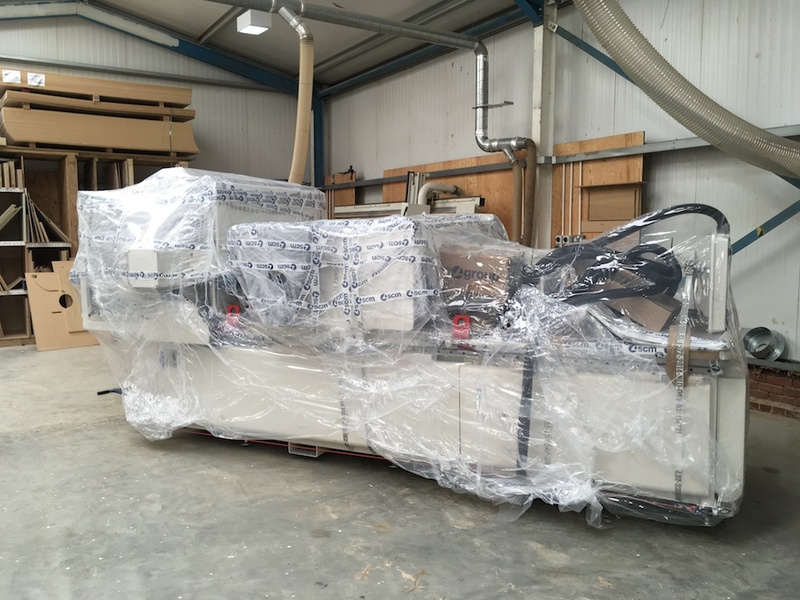 This quality machine from SCM will be fully installed and maintained by UK agent, Blyth Machinery. They’ve been instrumental in the whole process, from introducing us to this brilliant technology, demonstrating the benefits to us and even taking us to Rimini in Italy to see the production of the machines! We bid a big thank you to the Blyth Machinery team and thoroughly recommend Anglia Growth Hub for an initial conversation to anybody who is considering a large investment within their own business. We can’t wait to start showing our customers what we’re able to achieve with this brilliant new piece of kit!